Restarting life in a new country is always going to be a daunting experience. Imagine being in an unfamiliar location, in a different culture, with few if any connections and no choice but to learn a new language. Now picture having to do this after fleeing your home because of violence or persecution. You have nothing more than the clothes on your back. For most of us, this is inconceivable but for 25.4 million refugees worldwide, it is their reality. With that simple idea, ‘First Hike Project’ (FHP) was born. 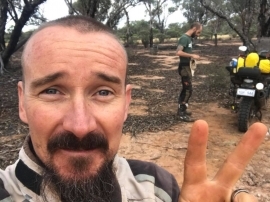 Within months they had hustled up enough volunteers, gear and donations to take 15 kids out to one of their favourite spots along the Bibbulmun Track. Each participant was kitted out with a backpack, tent and food. They hiked for a day, spotting kangaroos and avoiding snakes and then experienced their very first overnighter in the Aussie bush. 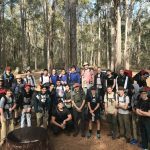 Fast forward to the 2017 and FHP has enough gear and experience to regularly take groups of newly arrived friends out on bush adventures around the Perth area. The concept worked, and it was time to make it national. 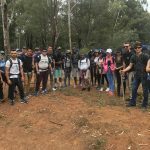 Neil’s plan was to activate groups of like-minded people to kickstart their own hike and before too long, FHP had satellite groups in Sydney, Melbourne, Canberra and Brisbane. Sharing these spectacular and breathtaking experiences in the Aussie bush is our way of welcoming new arrivals into Australia. To many of the diverse cultures arriving in our country, hiking and camping are not activities they have any experience with, so we have created events which provide a safe, cost-free and fully catered experience. We provide the transport, food and drinks, hiking and camping gear as well as park entry fees (where applicable) in the hope that afterwards, armed with their new-found understanding of what lies beyond the suburbs, the participants will feel more at home in Australia. We want them to experience for themselves the breathtaking beauty of the Australian bush. 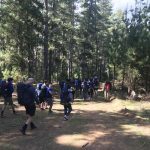 First Hike Project operates in the cooler, dryer months and can lead hikes in forests, mountains, valleys or plains depending on the fitness level of the group and the weather. We are a Not-For-Profit organisation operating out of Perth, Sydney, Melbourne, Brisbane and Canberra and hope to expand this to all major cities in Australia and beyond in the future. We consist entirely of volunteers and can only continue with the generosity of the communities we live and work in.